With so many affordable smartphones being released every year, it’s not easy to decide which one to buy. The progressive company from Florida, BLU (Bold Like Us), has a very good track record when it comes to producing low-end devices, and the BLU Life One X shows that they don’t plan on slowing down. The smartphone has been available from the end of 2015 for $149, which is more than attractive price given its specifications. We’ve had the pleasure to spend some time with it and see how it performs in real life. This review will tell you whether BLU came up with another hit product, or if they missed the mark. The budget category of smartphones isn’t particularly renowned for stunning design and attention to detail. That’s a real shame; nobody should be content with an ugly and bulky smartphone just because they don’t want to pay for top-of-the-line hardware they don’t need. 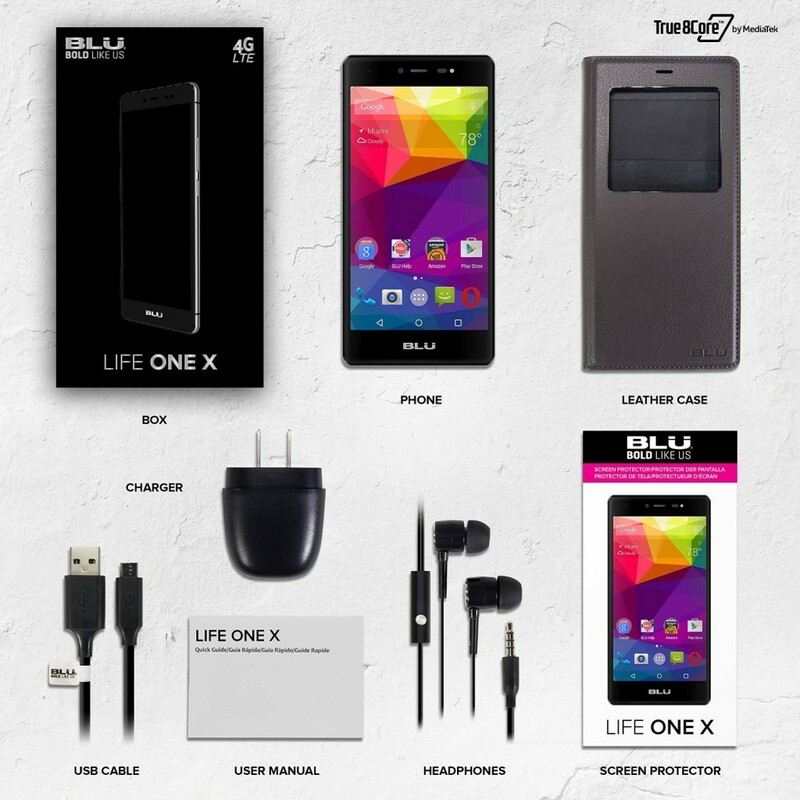 The BLU Life One X shows that things can be done differently. It looks nothing like its sub-200 dollar cousins, thanks to the stunning aluminum frame with the sand-blasted finish, which creates a grippy matte texture and the soft back panel made out of artificial leather material. The 5 oz heavy body measures 5.9 by 2.9 by 0.3 inches, making the smartphone easy to hold in the hand and carry in a pocket. The bezel around the display is elegantly slim to make the best possible use of the available real estate. All buttons and connectors are located where you would expect them to be: both the power and the volume button are on the right side; 3.5mm audio connector is on the top; and a microUSB port is on the bottom. The two buttons are adequately spaced, so you won’t press a wrong one by accident. The back of the phone houses a single speaker, which does a good job for what it is but cannot rival front-facing speakers found on many other budget smartphones. If you hold the phone in a wrong way, the sound becomes very muted. Removing the back cover reveals two SIM card slots and a micro SD card slot. The storage can be expanded with up to 64 GB microSD card. Our only complaint is that there is no USB Type-C connector. The new type of USB connector is steadily reaching mass acceptance, and it would be a fantastic selling point that could attract people who are looking for a future-proof budget device. The 5.2-inches large display is simply excellent. It’s small enough to make one-handed use possible, but at the same time large enough to work as a real multimedia powerhouse for watching videos, browsing the web, or reading emails. All text is crisp and clean, as you would probably expect from a full HD display with 424 pixels per inch. The panel uses the IPS technology for highly accurate color reproduction, great viewing angles, contrast, and direct sunlight visibility. What’s more, users can even tweak the display settings thanks to something that BLU calls MiraVision. This technology empowers owners to adjust contrast, sharpness, and many other settings exactly to their liking. Displays of this caliber are usually found only on devices that cost twice as much as the Life One X. One of the main attractions of the BLU Life One X is its support for most LTE bands (2/4/7/12/17). Apart from missing Band 5 for AT&T, you won’t have any issues connecting to networks of all US carriers. We have found the signal strength to be reliable above average. There’s also Bluetooth 4.0, which allows you to connect your wireless headphones and earbuds. What’s lacking is dual-band Wi-Fi and NFC. Neither technology is commonly found in low-end devices. However, given how widely used wireless mobile payments are becoming, we expect to see NFC slowly make its way into the budget smartphone category over the course of the next year or two. Powered by a midrange octa-core MediaTek MT6753 processor clocked at 1.3 GHz, the smartphone has more than enough power to allow for comfortable multitasking with no lag and great, snappy performance in just about any situation that you can throw at it. The Mali-T720 GPU can handle even high-end games, such as Asphalt 8, GTA, and Mortal Kombat X, without any significant frame drops. We have never run out of memory during our testing, which confirms that 2 GB of RAM is still more than enough even in 2016. The BLU Life One X scored approximately 38,000 points in AnTuTu, putting it in the category as the Xiaomi Note 3. Only the Lenovo K3 Note is ahead with more than 46.000 points. Overall, you can expect to get a high-end performance for a low-end price. The included 2,900mAh battery doesn’t surprise with great performance, but neither does it disappoint. You can expect to get approximately 4 hours of intensive use out of it, and a full day of regular use. BLU decided not to include any fast-charging support that would help users to restore the battery back to full capacity in a very short time. As a result, the smartphone lacks any advantage over its competition. This could definitely be seen as a missed opportunity. The simple fact that smartphones have essentially managed to push point-and-shoot cameras out of the market shows just how much users value the ability to take high-quality pictures on the go. The BLU Life One X doesn’t disappoint, and the 13 MP rear camera with auto focus and an LED flash produces clear images with accurate colors under all conditions. The same is also true about the 5 MP selfie camera, which comes with its own flash. The lack of optical image stabilization can make 1080p videos seem a bit shaky, but you can easily correct for this in post-production or directly on YouTube. The camera has a handful of neat extra features, including the Beauty Mode, Dual View Mode, Night Mode, Sports Mode, Pro Mode, and HDR. The last of the bunch works great during the day, as it makes all colors pop out. 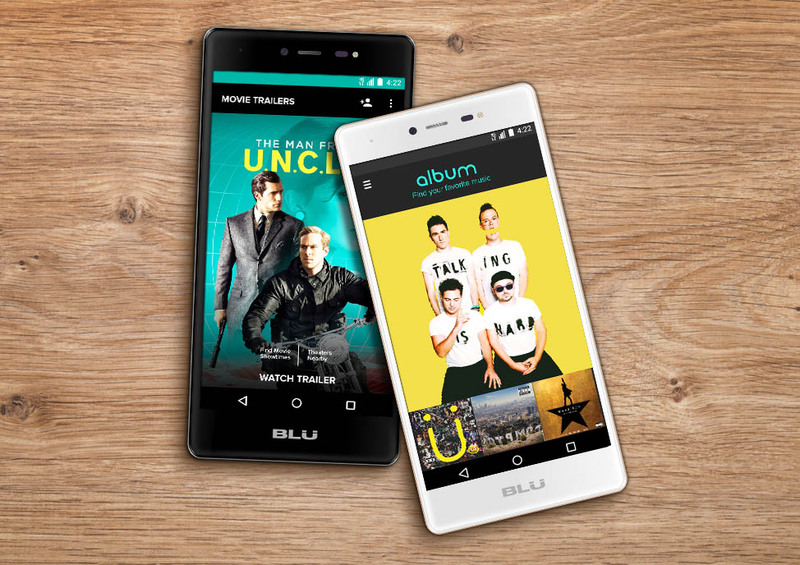 Part of what makes this phone feel so exceptional is the generous assortment of accessories that BLU kindly included in the package. Nobody would blame them if they shipped the phone with just a simple wall charger and a short USB cable. Instead, they tossed in a set of headphones, a screen protector, and a handy flipcase. When you buy this smartphone, you really get absolutely everything you could possibly need. Good job BLU. 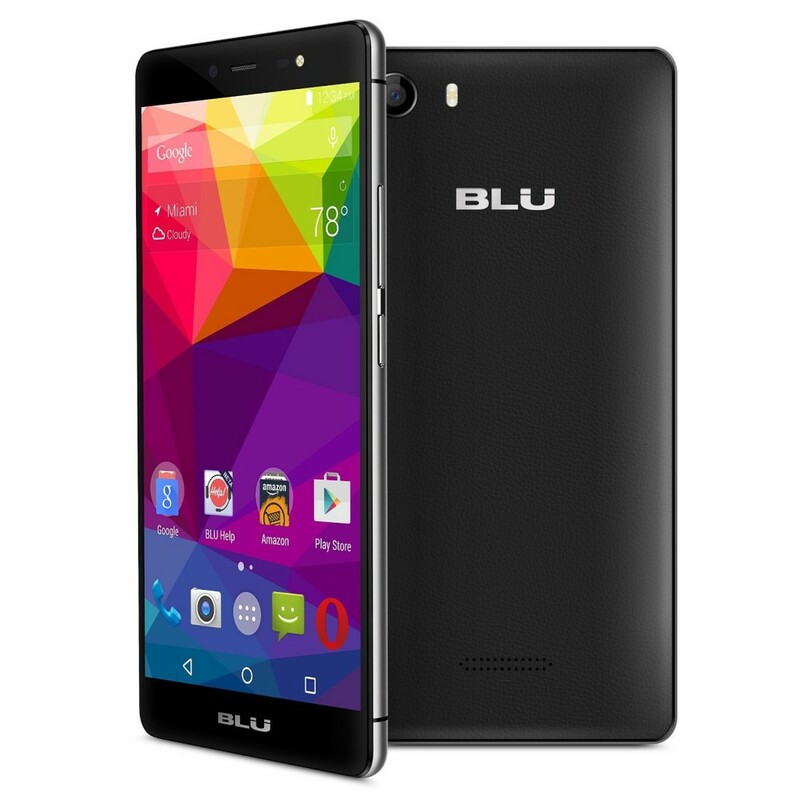 The BLU Life One X has managed to combine design with great performance, while keeping the price very low. As such, the smartphone gives even the likes of Motorola and their Moto G a good run for their money. The rich assortment of accessories, 4G LTE compatibility, and sublime software experience make for a premium experience at the fraction of what a premium smartphone usually costs. We can wholeheartedly recommend the BLU Life One X to anyone who is not afraid to leave the still waters of major smartphone manufacturers and go with a relatively unknown company. For just $149, you will be rewarded with one of the best budget smartphones currently available.